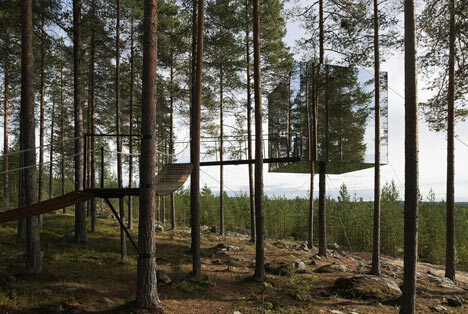 Ever want to escape to from the busy metropolitan to the nature of Sweden Forest? 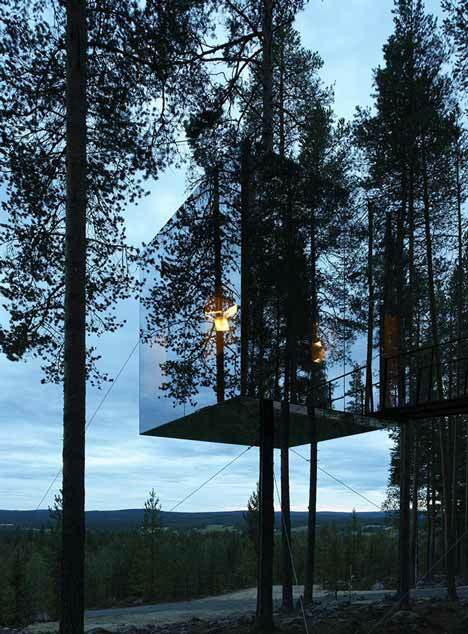 You can do so with style and an added excitement of the view from the tree-top. 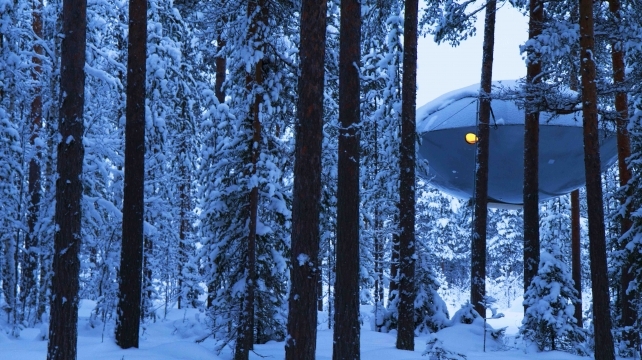 The Treehotel in Harads is a place where nature, ecological values, comfort and modern design are combined for an exciting adventure. 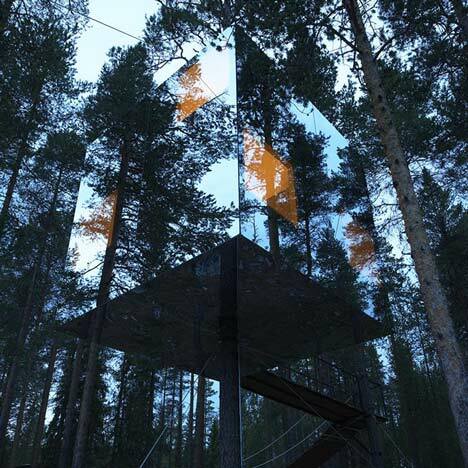 There are a a few uniquely designed "treerooms" in the TreeHotel. 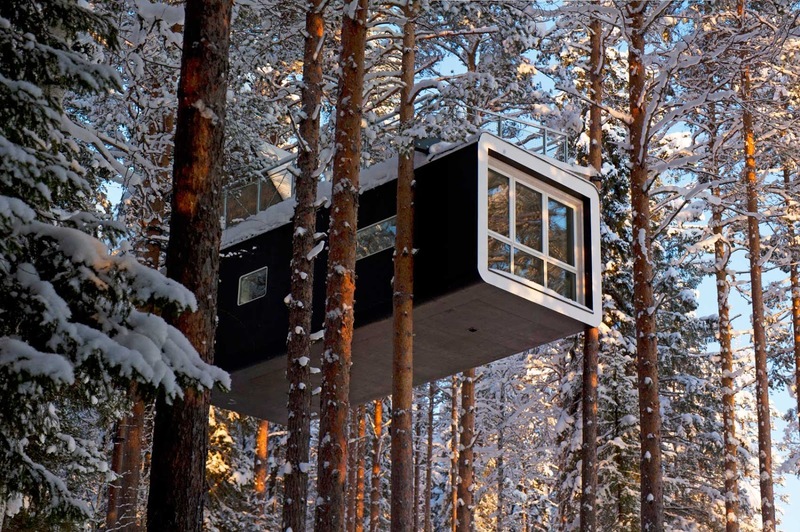 These rooms are suspended 4-6 meters above ground - all with spectacular views of the Lule River. 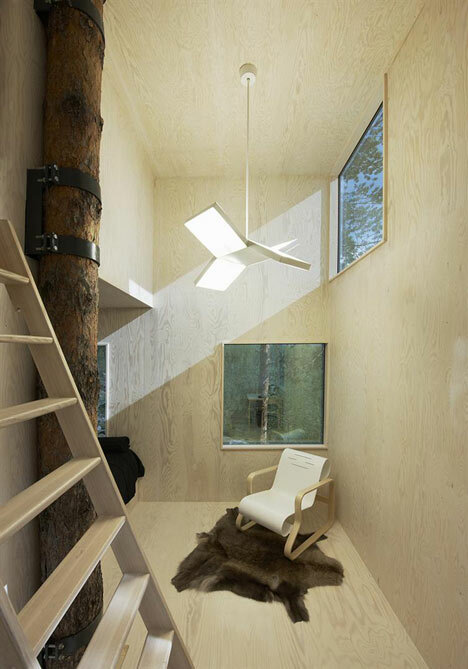 They are designed and built to be environmental friendly and sustainable construction material and create minimal impact to the forest and the environment. When you arrive at Treehotel, you check in at Britta’s pensionat where we serve breakfast, lunch and dinner for Treehotel guests. A buffet breakfast is always included in the room price, as are all meals in our package deals. Britta’s pensionat has an authentic 1930-50’s setting and offers a restaurant, bar, sauna and relaxation area, TV, and internet.